Most Audi nameplates offer a diesel engine, but the A4 has been a holdout. Audi will offer a diesel engine in its best-selling sedan, the A4, for the first time when the redesigned car hits U.S. showrooms next year. Audi of America uses diesels to differentiate itself from rivals such as BMW and Mercedes-Benz and to comply with toughening emissions and fuel economy regulations. Most Audi nameplates offer a diesel engine, but the A4 has been a holdout. Last week, Audi confirmed that the 2017 A4 lineup will include a 2.0-liter TDI diesel engine. The redesigned A4 goes on sale in the United States in the second quarter of 2016 and will also offer an updated 2.0-liter TFSI gasoline engine. 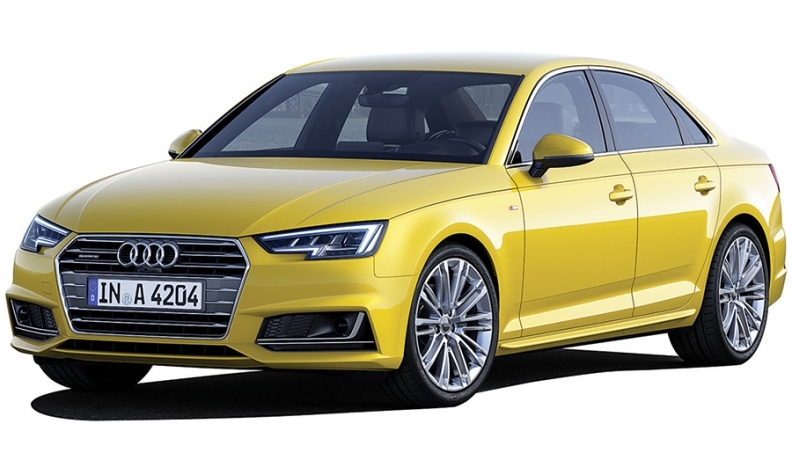 The sedan rides on an updated version of Audi's MLB platform and is up to 265 pounds lighter than the outgoing model despite more overall length and a wider track. Audi hasn't released U.S. specifications for the 2017 A4, but in Europe, the A4's new smartphone interface will support Apple CarPlay and Android Auto as standard. Through May, A4 sales were off 24 percent in the U.S. Audi's total U.S. sales were up 12 percent in the same period to 75,353 vehicles, 11 percent of which were powered by diesel engines, according to the company.